Photo courtesy of Annamaria Salas. I love kids so pediatrics was the natural choice. In my role I get to make little kids feel better. It’s not always rainbows and butterflies, especially because I work with traumas and other heavy medical conditions, but I’ve been able to connect with and develop trusting relationships with families and kids in a short time. Children’s Hospital is an ideal atmosphere because it’s positive, fun, and I love the people I work with. There are a few kids that immediately come to mind as I think about what I love most about my job. I get to meet and get to know, and help so many kids. It’s incredible. Small Town to Big Dream: How’d you get to be where you are? I grew up in a small town in rural Idaho, and was the first of my family to consider college let alone a career in medicine. I was involved in high school, volunteered, and built connections and then was accepted to a local Liberal Arts school that met my needs. I knew I wanted to work with kids, but it wasn't until my sophomore year at the College of Idaho that I decided to be a Physician Assistant. A bachelor’s in Health Sciences coupled with a minor in criminal justice made sense for my interest and career path. When I’d decided in college that P.A. school was how I’d be able to work with kids and work in medicine, I started to plan. I worked part-time as a C.N.A. my junior and senior year of college, stayed active in my community, and focused on my studies. Because the P.A. application is a yearlong process, I took a year after undergrad to work and focus the rest of my energy on applying, interviewing, and visiting programs. This time afforded me the opportunity to be really thoughtful about my application. I had the time to put my best foot forward, which I wouldn’t have had if I’d tried to do this while I finished my senior year. I had time to visit schools, narrow my selections, and to prep for interviews. I showed up hungry and well prepared for the interview rather than worried about a paper that was due on Monday. It’s a huge advantage to know how to be able to show who you are as a person in an interview. So, in this way rodeo queens have an advantage because they know how to make themselves stand out from the paper version of you. A good interview sets you apart. As the interviewer thinks about you later, you’ve left an impression and aren’t just one of many faces he or she saw in a day. I’m not saying my path is the secret formula, but it worked for me. The work I did wasn’t just a job either. I was mindful about the experience I was getting during this time. I worked in an orthopedic facility, which allowed me to work with patients, see what my dream job looked like on a day-to-day basis, and develop relationships. My recommendations were so much stronger because the people I worked with could vouch for my work ethic on a personal level. The application pool is competitive so the stronger your recommendations and references, the better. This goes back to relationship building that often happens in queening----with sponsors, committees, fans, and other queens. Because I’d built relationships through each stage of the process I had opportunities I wouldn’t have otherwise had. You never know who will advocate for you. Along with the experience, the work gave me a mental break to go back to school excited and ready to dig in; I didn’t enter the program already burned out. It gets tougher and tougher every year to get into grad school and into P.A. school. Each educational experience is a stepping-stone: high school to undergraduate, undergrad to your masters. First, get involved. 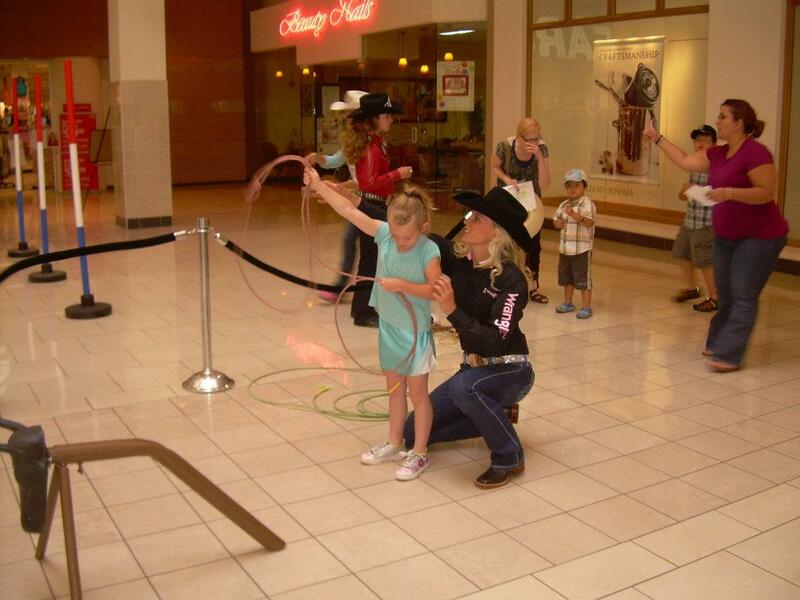 As a rodeo queen, you’re already involved in your community. Use that as an opportunity to seek out experiences: volunteer, shadow, build connections, and participate in events specific to your area of interest. For example, helping at health fairs and working with the Justin Sports Medicine crew in any capacity possible. As you plan for your career, consider opportunities you have as a rodeo queen that relate directly to your goal and seek out more of those activities. Photo courtesy of Annie (Kunerth) Phelps. There isn’t a specific track for Physician Assistants or Nurse Practitioners, so don’t worry if you don’t get into your number one school, or the best undergrad or graduate program possible. It’s more important that you choose a school that’s a good fit for you, and that you’ll be able to excel at. Your educational experience and opportunities thereafter are more about the fit than the tier of the school itself. So with both undergraduate and P.A. programs, do a site visit. Go to the info session and walk around campus. Ask yourself if you’d feel comfortable there and feel okay about living there for several years? Don’t put the odds against yourself; it sounds silly, but if you don’t like the vibe of the place from the start, you’re less likely to enjoy it when you’re under additional pressure. Take advantage of any scholarship or educational opportunities available through rodeo queening. Use your money wisely by starting at a community college or taking classes online before you transfer to a four-year bachelor’s program. But, do plan ahead as you take courses. If you know you plan to go to PA school, do your research. Many programs have specific requirements you’ll need to meet to qualify. For example, one program may require genetics or organic chemistry while another may not. If you know you’ll need to take genetics by your senior year, and that you must take lower-level math and science courses to qualify for the class, you can plan your prerequisites accordingly. Find an undergrad advisor who you know and who you can trust to guide you through this process. It’s not easy, and especially if you’re blazing a trail for yourself, it can be even more difficult to know exactly what’s expected of you. There are also outside (of school) coaching programs that give you a roadmap to help you get organized toward your goal. Programs, such as Temporal Fruition, plot a course for PA candidates and coach them through the undergrad-class selection, school, and application and interview process. I wish I’d had an option like this. As it gets more competitive, community involvement stands out even more. If every student who applies to a school has a 3.9 and similar scores across the board, then admission committees have to look at extracurricular activities to separate candidates. Your involvement (or not) says a lot about what you care about, what you invest your time in, and is an indication of what kind of a provider you’ll be. In medicine, your soft skills are so crucial because you deal with patients in typically less-than-desirable circumstances. As a PA you’re a part of a team, and if you can’t work well with others you won’t be successful. An advanced practice provider (PA/NP) is the go-between between the staff: the doctors and nurses. A rodeo queen similarly sits between the rodeo board, coordinator, and rodeo association and the fans. A queen with a court may act as an intermediary or coordinator of sorts between the board and coordinator and her juniors and princesses to plan events and coordinate outfits for example. Learning to negotiate between groups and people is an asset in the hospital. This role also has the most contact with patients. You’re the one who builds trust with people. Empathy, learned through the care of animals (think about your horse!) and service to those less fortunate or more impressionable than you (for example, special needs and young fans), helps build trust with patients. The hospital is a stressful environment because people are emotional, tired, and worried. You need to be empathetic, and make people feel supported and that they’re in good hands. They won’t want to entrust you with their care or the care of their loved ones otherwise. Good communication is also important. P.A.s often have to have difficult conversations with patients and patient families. You must be able to present the facts and resolution while remaining empathic. It’s one of those traits that seem to be inherent, or not. But, you can practice. Learn to be comfortable in difficult situations, how to manage your body language, and develop your cultural awareness through experience and education. Most importantly, you need to build resilience. In this job, you can feel like you’re doing all the things right and it still may not matter. You feel terrible when you can’t help people, or they’re still resistant when you’ve done everything you can to help them understand. It’s like with competition. You may not win every time, and you may not like the judge’s criticism, but you can’t let it get you down. The feedback and their frustrations aren’t personal. The best thing you can do is to think about how you could’ve been better, what you can do in the future, and then move on. When you accomplish something you've always wanted, you get real satisfaction out of it because you know how hard you’ve worked to get there. Knowing that this is my dream job, those moments that I know I’ve done a good job feels so satisfying. It’s not just some job; this is something I’ve wanted to do my entire life. This is true in your career and any other life success. If you've worked really hard at a particular horsemanship skill or at public speaking, it feels great when you see your effort pay off. Set your sights high, and keep working hard!